SharePoint has become the go-to solution for content and collaboration. In fact, over 250,000 organizations including nearly 85 percent of Fortune 500 companies rely on SharePoint to do their jobs. One of the biggest obstacles to SharePoint adoption is finding documents in SharePoint, even though they were tagged with the appropriate metadata. If you feel SharePoint search falls short of delivering a fast and intuitive way to find the documents that you’ve stored in your sites, there is a solution. 1 With More than 250,000 Organizations Now Using SharePoint, Microsoft Adds More Features, by Brad Sams, Petri IT Knowledgebase, May 16, 2017. MetaSearch is more flexible and powerful than simple filtered navigation. MetaSearch provides multiple filters to target each specific aspect of your content. This is especially helpful when trying to find information in extremely large or distributed content sets. 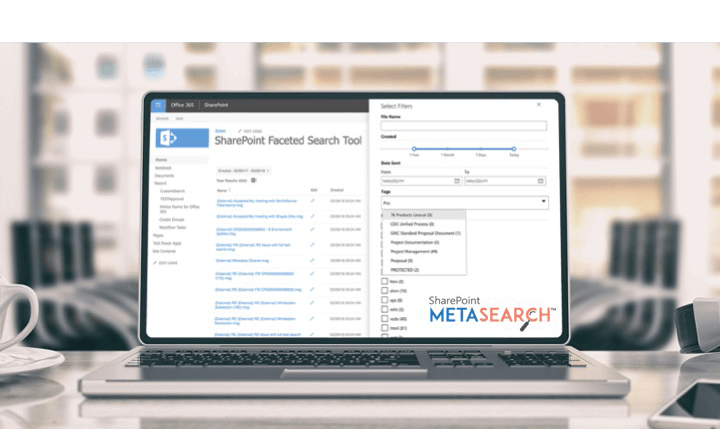 SharePoint MetaSearch enables you to build custom search pages without code that are metadata aware to quickly return results with the information that you care about most. This functionality means your search pages can be tailored specifically to your business processes and categorization methods, allowing your information workers to be more efficient at finding the documents they need. Implementing General Networks SharePoint MetaSearch will lead to increased employee satisfaction and productivity by eliminating time-consuming searches that fail to deliver the information users need. Unleash the power of your content by letting SharePoint MetaSearch get the right information into the hands of those who need it – quickly and accurately.